It’s attached to a pacifier so it doesn’t end up on the floor. The strap has a binky attached to the other end so it is not lost or dropped. The hat is soooo cuuuute!!!!!! It’s a she, but no worries. It’s hard to tell without the hair. You new bug overlord looks like she’s growing well, Adam. And I hope Josh and Mollie hire you for a ten-year anniversary comic, NOT a divorce comic. Well! 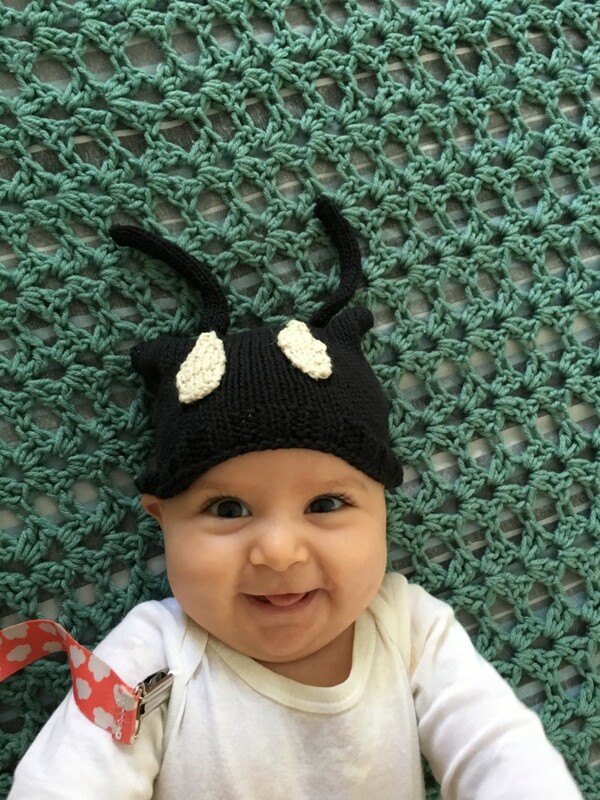 That there is one cute li’l buglet! Nice hat, too!